By E.J. Schultz . Published on July 31, 2017. While bottled water sales are surging, shoppers don't make much of a distinction of one brand over another, especially for mass-produced mainstream brands devoid of bubbles or flavors. Nestle Pure Life has done quite well in this environment; it grew volume 1% last year to keep its spot as the top-selling U.S. plain bottled water brand, according to Beverage Digest. But with Coke's Dasani and PepsiCo's Aquafina lurking, Nestle is not resting easy. Pure Life starting this week is launching a big new global campaign aimed at making its bottles less of a commodity by giving consumers more reasons to buy the brand than just the water inside. The effort, called "Pure Life Begins Now," seeks to position the product as an environmentally friendly brand actively working to increase global water availability. "Today when consumers are buying Nestle Pure Life, and for that matter a lot of the other brands, it's quite frankly a transaction. You walk into the grocery store [and] you've got a universe of brands in your mind that you feel are all relatively all of equal quality," said Andrius Dapkus, VP-general manager of Pure Life at Nestle Waters North America. "You see it on display, you put it in your cart and you move on and you're gone." The goal of the rebranding is "to make the choice of Nestle Pure Life a conscious choice for our consumers, a purposeful choice. 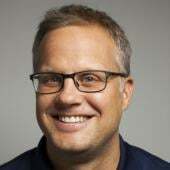 And we are going to do that by connecting the actions that we take as a brand to that choice," he said. The campaign, which is from Publicis, includes a TV spot that will begin airing on Sept. 12. It shows a young girl diving into a water-filled fantasy land where children blow bubbles high on a gondola lift and paddle a boat through the clouds. Nestle will use digital videos to make more direct pitches. One video plugs its 12-step quality process, which includes removing chemicals like chlorines when Nestle draws supplies from local wells or municipal water supplies. Another video asks "What can we do for the planet?" adding, "We've reduced the plastic in our half-liter bottles by 40%." Executives did not offer details, but said Nestle would be spending "significantly more money than we have been investing in this brand." 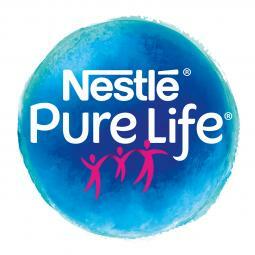 Last year Nestle spent only $1.3 million on measured media on Pure Life in the U.S., according to Kantar Media. The brand finished 2016 with an 11% volume share of the plain bottled water market in the U.S., according to Beverage Digest. Dasani was in second with 8%, while Aquafina had 6.9%. Bottled water in the U.S. surpassed carbonated soft-drinks in 2016 to become the largest beverage category by volume, according to industry tracker Beverage Marketing Corp. However, when measured by dollars, water falls well short. Carbonated soft drinks tallied $68.1 billion in sales last year, compared with $33.6 billion for the bottled water category, according to Beverage Digest. Nestle in recent years has been under scrutiny for its bottled water manufacturing practices. For instance in 2015, a group called Crunch Nestle protested outside a Nestle plant in Sacramento, raising concerns about the company using municipal water for its supplies amid the California drought, according to a report in the Sacramento Bee. A corporate spokeswoman told the newspaper that in 2014 Nestle only used "less than two-thousandths of 1% of the city's total annual water usage." "Nestle Waters is in a tricky position because the company is marketing a product that consumers want more of in the U.S. even as the underlying resource is scarce in other parts of the world," said Duane Stanford, editor of beverage industry trade pub Beverage Digest. "Nestle Waters' campaign appears to be an effort to address that dilemma abroad and even where it crops up here at home." Larissa Hrabec, director-brand marketing for Nestlé Pure Life at Nestlé Waters North America, rejected the idea that the effort was a response to critics. "With this campaign, Nestlé Pure Life is seeking to elevate the importance of water in people's lives," she said in a statement. "We want to reach parents, particularly those who support brands that are doing things to ensure brighter futures for themselves and their children." She cited water supply efforts such as a partnership with a water district in San Bernardino County in California to build a groundwater treatment project that is "expected to restore an additional 250 million gallons of available clean drinking water each year to the local water supply." In an interview, she cited the opportunity for Nestle to "stand out on behalf of water and the future of water and protecting access and availability of water. There really is no brand talking about that and that's really the unique position we are in." Dapkus said that most of the company's initiatives have been internal, such as using more lightweight packaging. But "as the months and years go by we are going to start focusing more externally," he added. He alluded to future projects that will take proactive steps to deal with water access issues globally. The campaign includes a new logo design in which the brand name is affixed to a blue globe. A playfully drawn silhouette of a family appears in magenta beneath the name. The globe was not part of the old logo, which showed the family in green, yellow and blue.